Take tram 21, 23 or 24 that goes in the direction of Schiedam (to be sure check with the driver), and get off at the ‘Marconiplein’ stop. Or take the metro (subway) from Central Station to Zuidplein. Get off at the second stop, called ‘Beurs’. 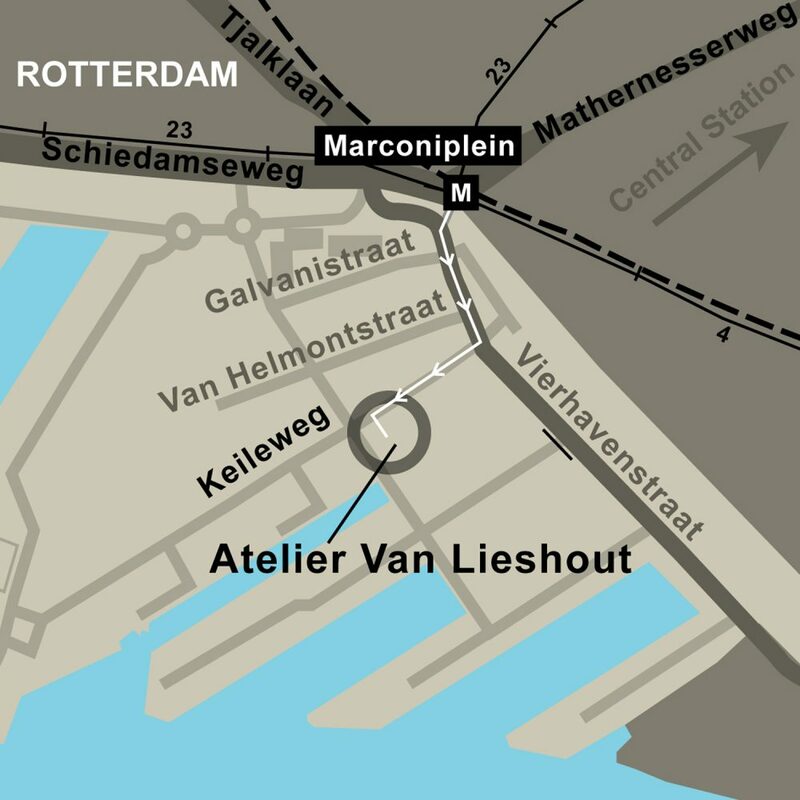 Change to the metro in the direction Schiedam/ Spijkenisse and get off at ‘Marconiplein’. When you leave the station, you turn left into the ‘Vierhavenstraat’ alongside 3 tall buildings. Take the 3rd street on your right, the ‘Keileweg’. Our Atelier is situated at nr. 18, on the corner of ‘Keileweg’ and ‘Benjamin Franklinstraat’, opposite the ‘Praxis’ hardware store. From ring Rotterdam or Centre of Rotterdam (Centrum Rotterdam): take exit ‘Spaanse Polder’ and follow the signs with harbour number (havennummer) 304. Our Atelier is situated opposite the ‘Praxis’ hardware store, at Keileweg 18, on the corner with ‘Benjamin Franklinstraat’. Parking space is widely available, and is free.